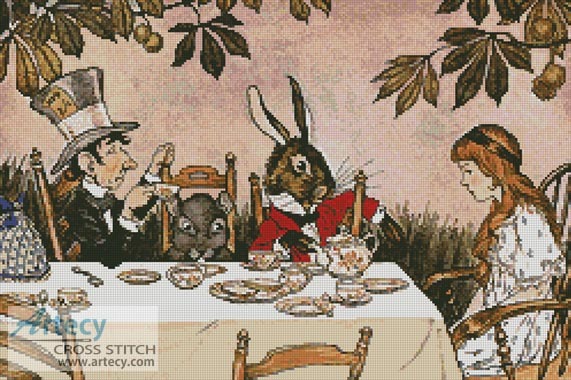 Alice in Wonderland cross stitch pattern to print online. This counted cross stitch pattern of Alice in Wonderland was created from an antique print by Milo Winter. Image courtesy of www.story-lovers.com.